News that NORAD (North American Aerospace Defense Command) was moving back into its previous Cheyenne Mountain underground bunker in Colorado Springs first surfaced during a news conference by NORAD Commander Admiral William Cortney on April 7. It’s moving, said Cortney, “because of the very nature of the way that Cheyenne Mountain is built. It’s EMP-hardened.” EMP, short for an electromagnetic pulse, is a burst of electromagnetic energy produced by a nuclear explosion in the atmosphere, considered capable of widespread damage. NORAD is also moving because of real world threats by enemies of the United States who now possess the capabilities to launch a nuclear weapon from the south where NORAD is blind. Cortney explained that North Korea now has operational the KN-08, a nuclear-weapon-armed missile, that can be launched undetected and set off a nuclear explosion sufficient to shut down the entire North American electric grid. He assured listeners that NORAD is prepared to defend the country from attacks from North Korea and Iran (even if negotiations are successful), provided that those attacks come over the North Pole. But all eyes are facing north, with none facing south. An EMP strike, most likely from the detonation of a nuclear weapon in space, would destroy unprotected military and civilian electronics worldwide, blacking out the electric grid and other critical infrastructure for months or years. The staggering human cost of such a catastrophic attack is not difficult to imagine. 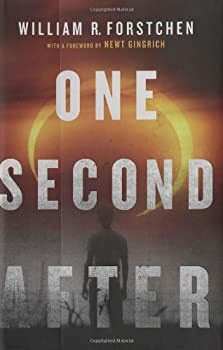 Such costs were spelled out in a dystopian novel that made it onto the New York Times best-sellers list back in 2011: One Second After, by William R. Forstchen. It’s the story of how one man struggles to deal with a world that no longer works, first evidenced when cars passing by on the highway come to an immediate and permanent halt thanks to internal computers that no longer work. 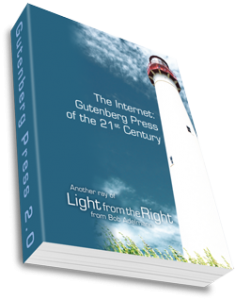 An Electronic Pulse (EPM) explosion over the continental United States would have devastating consequences for our country…. A well-designed nuclear weapon detonated at a high altitude over Kansas could have damaging effects over virtually all of the continental United States. Our technologically oriented society and its heavy dependence on advanced electronics systems could be brought to its knees with cascading failures of our critical infrastructure. Our vulnerability increases daily as our use and dependence on electronics continues to accelerate. Cortney isn’t waiting. He’s granted approval to begin the move from Peterson Air Force Base to Cheyenne Mountain, along with granting a $700-million contract to Raytheon to upgrade NORAD’s electronics. This entry was posted	on Thursday, May 7th, 2015 at 3:58 am	and is filed under Politics, Technology. You can follow any responses to this entry through the RSS 2.0 feed. You can leave a response, or trackback from your own site.